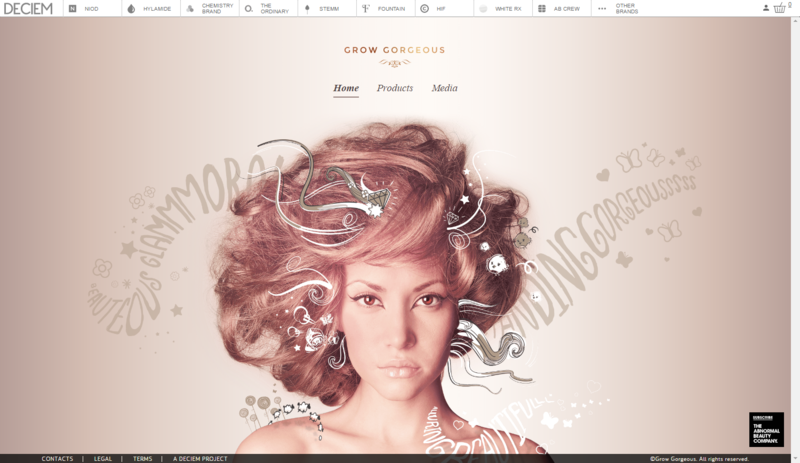 Grow Gorgeous's Web Catalog 3.0. 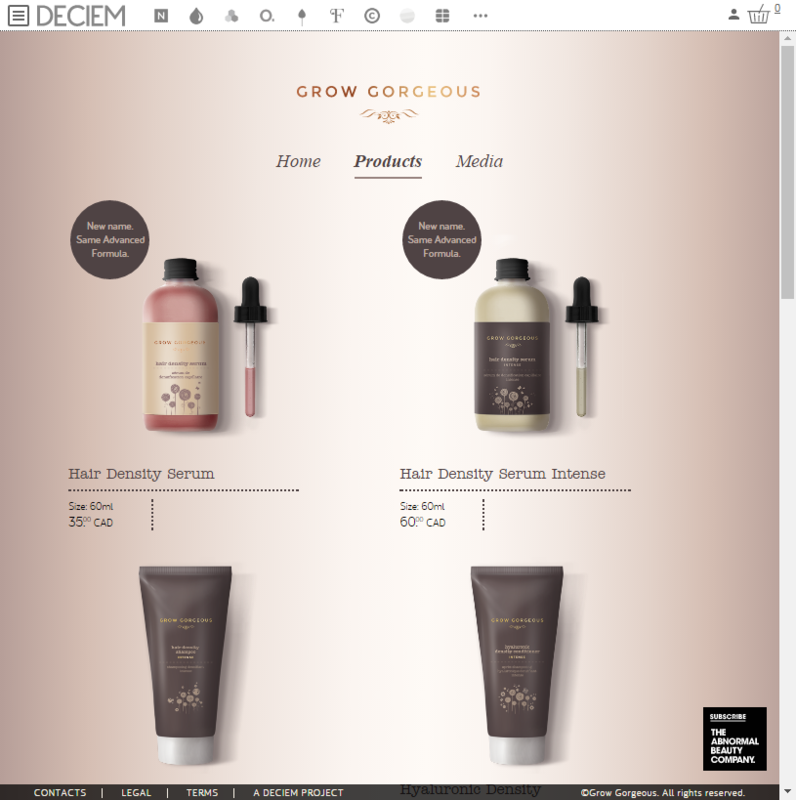 As the brand evolved and its client base grew, it's language evolved as well. The original children-book illustration style, although kept on the packaging, was replaced with a more glamorous glossy cover-girl look and the copy was toned down quite a bit.